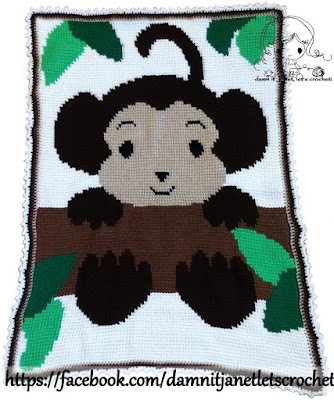 I can't wait to welcome the newest member of the family with this adorable blanket. 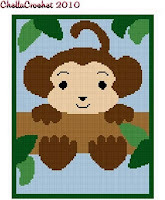 *Monkey In Tree Graph by chellacrochet and its available for purchase HERE on Etsy for only $4.00. When I saw it on Pinterest, I knew I had to make it for our newest member. (Can't wait to have you in my arms.) 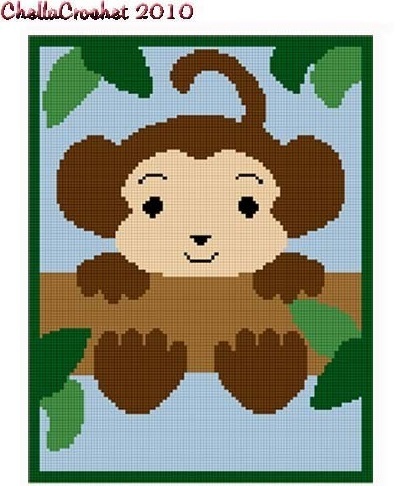 The instant download PDF file comes with the pixel graph you will need, cover sheet which includes yarn amounts, approximate finished size and a file containing basic tips. This is my 3rd tunisian crochet project and this time around it worked up pretty quickly. 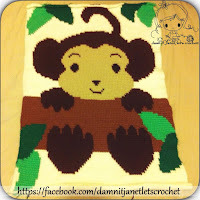 Thinking of making our baby another blanket, but just don't know of what. Ex: If the graph has 32 stitches you'll need to chain 33 stitches. -If your more of a visual person rather than reading then this video by thecrochetside might be great for you. -On the basics tutorial video, it says for the last stitch of the forward pass for you to put the hook through the last two end stitches. Cause if you don't and when it's time to make the border is going to look holey. -Measure! Measure! Measure! You don't want your blanket to look uneven. 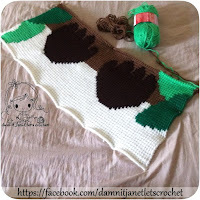 -When it's time to bind off your work, change to beige so you can start making the border and just continue single crocheting around the blanket 'til you reach the 1st single crochet. -I made a simple border using 3 rows of single crochets (first beige, then light brown, then brown) and finishing with a picot edging in ivory. 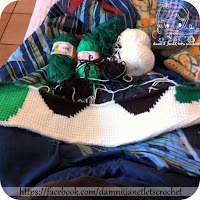 In each corner when making the single crochet rounds they need to have 2 single crochets. -The picot edging consist of *3sc, ch3, sl st to first chain, 3sc* repeating from * to * all the way around. 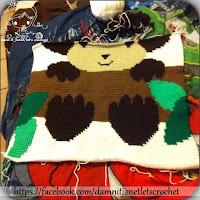 Try your best to land a picot stitch in each corner. -......and sew a nice warm, snuggie fabric on the back. Now, its ready to keep your little one nice and warm.